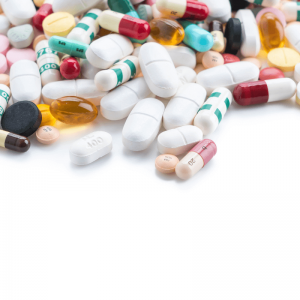 Are Pharmaceutical Drugs Causing You Anxiety? A definite amount of panic, stress and nervousness is natural when you face your first job interview, deliver a speech, or enter an exam room .With people getting worried or anxious for some time and then returning back to their normal state is natural. But if these feelings start residing in you for long- They can perpetuate themselves to produce adverse symptoms of anxiety disorder which may need a medical treatment. There are various medications available among which some are natural and some come with side effects. It was for long that the western medicines were considered to be a boon as they gave them instant benefits. Even if they got side effects they assumed it to be an entirely separate health condition. It is now with the progressive research that even the western medicine system is recognizing the severe side effects these medications can have on your health in long run. So if you are having that irritable and annoying anxiety symptoms, apart from getting triggered or caused due to natural body degradation, they can also be a product of long term (or in some cases short term) usage of the western medicines. Yes, it’s true, the very medications used to treat health conditions such as thyroid, asthma, Seizure, Parkinson’s, ADHD and so on can become the very first chain to the never ending loop of stress, fear and unease linked to anxiety. I highly recommend you to take natural treatments such as homeopathy as it is safe, non-addictive and free from any side effects. Even if you have developed anxiety as a side effect due to pharmaceutical drugs, you can start with homeopathic treatment. 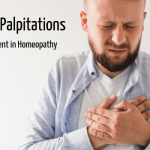 A homeopath will look over your complete history and analyze your condition well before prescribing you with the most effective remedies suitable for your condition. You can even supplant the homeopathic medicines along with the conventional ones. Do check this out with your homeopath. Under proper guidance of a homeopath you can even make a complete shift to homeopathy. Does Homeopathy Work for Anxiety? Western medicine system for long had made people to believe that it is the symptom which creates anxiety. 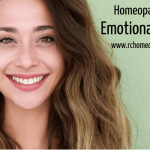 But now they know after using the treatments like homeopathy that it is not the symptom that causes the anxiety , it is the inner disharmony that manifests outer symptoms. Homeopathic medicine heal you from the inside out by restoring the natural vital force already available within. Most of the western medicines are designed either to suppress symptoms and/or provide a relief by affecting the body functions. By fiddling with your inner anatomy, these drugs can either create anxiety symptoms for the first time or aggravate the previous anxiety symptoms. Pharmaceutical drugs bring out a relief by suppressing or affecting the function of those organs which are linked to anxiety. Only escape for you to prevent your body from such symptoms is through natural treatments. And homeopathy is doing exactly the same. Without affecting any of your natural body processes, homeopathic remedies work to revive your vital force to its natural state. Now let’s discuss some common pharmaceutical drugs that can cause you your anxiety symptoms. There are a bunch of medicines which are made from caffeine including those used for treating headache and migraine. By working on the sympathetic nervous system they block the depressant function caused by a naturally occurring hormone. 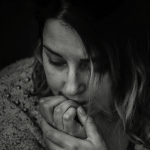 For some this can beneficial but for others who are more prone to anxiety and nervousness there symptoms can flare up as these medications changes how the nerve cells interact. Therefore for persons, susceptible to even a little bit of anxiety may start seeing aggravated symptoms. Though it is understandable, that the condition of asthma can make a person irritable and anxious. Some asthma sufferers are dependent on inhalers. Which means even if you hadn’t had anxiety symptoms before, then also you can develop anxiety as a side effect. Even the inhalers used to provide quick relief from the condition can also rev up your symptoms. As is seen women’s are more prone to anxiety than men due to the intake of some hormonal drugs at various stages of life. Obviously as the hormones used are not natural, here also they can affect her mental health aggravating the anxiety symptoms. Drugs used to treat hyperthyroidism are also known to aggravate anxiety. Various drugs used to treat nasal and sinus congestion can also trigger up anxiety as a side effect. These drugs affect the central nervous system to control the action of nerves and chemicals so as to control mental disorders like ADHD or narcolepsy. This causes several side effects mainly linked to mental health. As is seen ADHD and anxiety coexist due to the mental treatment involved. Drugs used to treat this condition contain stimulants that change the way how nerves interact and transmit messages. But as this stimulation is not through natural means, anxiety symptoms become common. So, it is my advice that as far as possible you should avoid chemical drugs which affect your natural body processes with very little benefit. Homeopathic treatment , does not treat you as disease label rather it treats you as a person. 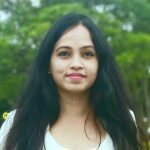 By analyzing your unique habits, lifestyle and history-a homeopath lays down a treatment plan so as to hit the very first cause linked to your anxiety symptoms. Homeopathic medicines are safe, non-addictive, and does not cause any side effects. You can buy Homeopathic medicine online from any homeopathy store in Sydney, Australia after consultation with an experienced homeopath. Self medication is not recommended as homeopathy works best when personalized. So you can expect that no two patients with the same health concern be recommended with the same remedies. 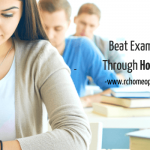 Though patience is required if you are under homeopathic treatment as various improvisations will be done along the way- homeopathy targets your overall well-being so as to prevent recurring patterns as is common with conventional medicines.